The Biostar-NLS system is designed to read, communicate with, and stimulate a change in the energy of the body. It does this in a variety of ways but primarily we use the Headphones (pictured left) to communicate with the vagus-nerve of the body by which it is placed, and sending weak electrical signals, and then it ‘listens’ to the body’s response from those signals. Once the communication scan is completed, the software returns a graphical representation of any located distortions in the body’s information, as well as recommendations for nutritionals, homeopatics, etc.. — including identified areas for META Therpay that are recommended for rebalancing. These will then stimulate the body’s healing response and correct the noted distortions. The information of the body is like the software of a computer, telling the body’s biochemistry how to organize and structure itself. If you have perfectly operating software, your body knows precisely what to do and can repair itself. Essentially the body is able to work off of a blueprint or set of information codes for optimal health and homeostasis. 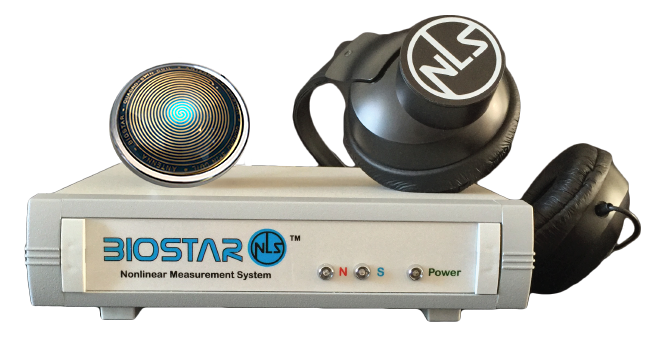 ​By putting energy back into the specific area of the issue, the Biostar-NLS can then raise the electrical potential of those cells, restoring them over time to their normal, optimal behavior. Meta Therapy also stimulates the vagus nerve system, sending a signal to the brain to direct resources to that particular part of the body as part of the natural healing response. ​All the information about the state of your body is delivered to the brain. 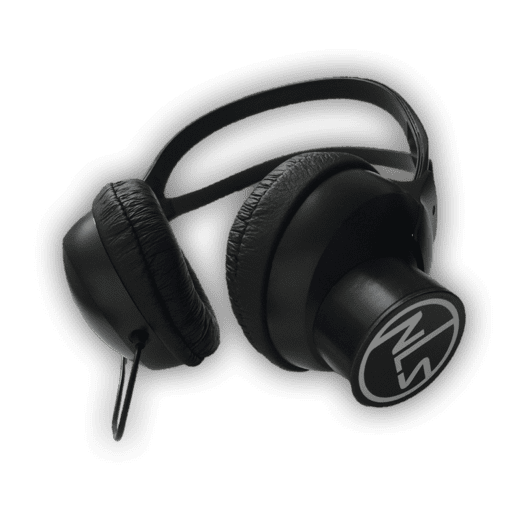 We are using special trigger sensors which are shaped as headphones in order to connect to it (which are tuned to the same frequency). Furthermore, we use special software in order to obtain the data, to decode it and to display on the screen in the form of three-dimensional models of organs, tissues and cells. We use specific marker system to highlight their actual conditions - normal or abnormal (in total we have 6 evaluation criterions). Everything starts with a quick, non-invasive initial test of the patient. The patient has to put on a special headphones for 20 minutes. 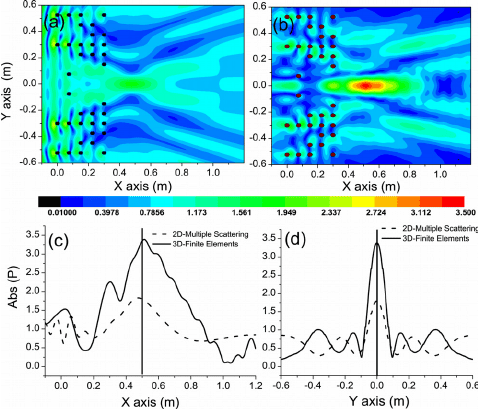 .​ A technical achievement was made in 2016 in the Biostar-NLS, which opens up new possibilities and features in the Veritas Software: ‘three-dimensional scanning’ (3D). The preparation of NLS pictures for visual analysis is carried out by means of ‘3D TISSUE’ an original technology by Biostar Technology International, LLC, that allows for the future virtual multidimensional pictures of anatomic and histological structures, and marking interesting biologic tissues. ​Additionally, the system will automatically determine the basic META therapy/homeopathic combination that acts as a remedy for the patient’s general wellbeing at that point in time. 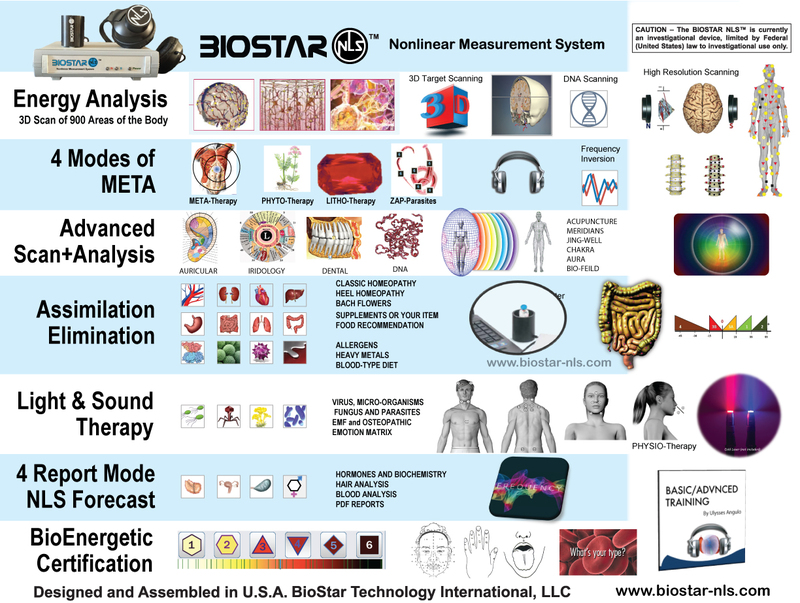 Contact us now to discuss how the Biostar-NLS system, educational offerings, and the science behind it can enhance your healthcare practice in practical and measurable ways for both you and your clients.